There were 691 press releases posted in the last 24 hours and 153,589 in the last 365 days. Rule Breaker Snacks, maker of innovative vegan bean-based treats is pleased to announce increased retail presence with availability in 30 Wegmans locations as well as its first entry into the Canadian market. NEW YORK, NY, UNITED STATES, November 5, 2018 /EINPresswire.com/ -- Rule Breaker Snacks®, maker of innovative vegan bean-based treats is pleased to announce increased retail presence with availability in 30 Wegmans locations as well as its first entry into the Canadian market with placement at TJX retailers HomeSense and Winners. 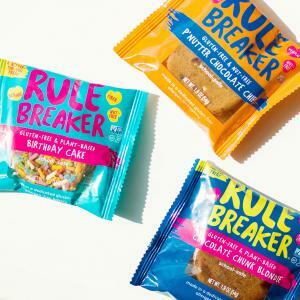 Rule Breaker Snacks began just over three years ago when it introduced Deep Chocolate Brownies and Chocolate Chunk Blondies that harness the power of beans along with other wholesome ingredients to create truly delicious, indulgent and guilt-free goodies. Over the past three years the company has expanded into new channels, dramatically increased its retail presence and exponentially grown online sales. The latest expansion takes the brand outside the US for the first time and into one of the premier supermarket chains in the industry. Rule Breaker Snacks offers four flavors, Deep Chocolate Brownie, Chocolate Chunk Blondie, Birthday Cake and nut-free P’Nutter Chocolate Chip treats. All flavors feature chickpeas (garbanzo beans) as the first ingredient, are packed with protein and fiber, and have under 250 calories each. 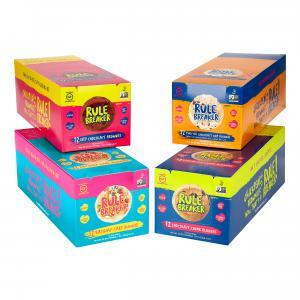 Perfect for anyone looking for a treat they feel better about eating or giving to family and friends, all Rule Breaker snacks are also gluten-free, kosher, vegan, nut-free, non-GMO, and free from the top eight allergens. 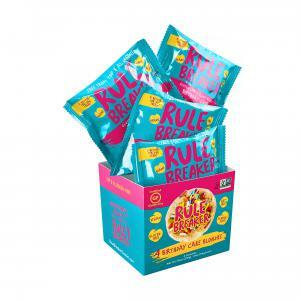 For more information about Rule Breaker Snacks, please visit rulebreakersnacks.com. To stay up to date on other news and information from Rule Breaker Snacks like the company's Facebook page, and follow Rule Breaker Snacks on Twitter and Instagram. Rule Breaker Snacks® are defiantly delicious bean-based treats. Packed with protein and fiber and lower in sugar, Rule Breaker Snacks are gluten-free, vegan (100% plant-based), non-GMO and free from the top eight allergens. They are available online and at select retail locations. For more information, visit rulebreakersnacks.com.